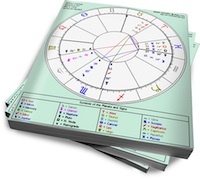 These signs complement each other nicely with their different approaches to nurturing; Cancer comforts and Virgo takes care of the practical details. But these two can also bring out each other’s tendency to worry. This is not a huge deal, but if left unchecked, it can turn an otherwise beautiful relationship into an exchange of anxieties. Sun in Cancer is the domestic nurturer, so sensitive (underneath his shell) that his primary goal is to look after his loved ones. He can’t stand it when those close to him are hurting. His partner can expect an excess of hugs, empathetic conversations and all around mothering. But his sensitivity can overwhelm him, and Sun in Cancer is sometimes paralyzed by fear. What if something bad happens to his partner? What if she leaves him? His lover should understand that when mothering turns into smothering, the Crab is probably feeling anxious about losing her. Moon in Virgo needs to fix things. Her ultimate goal is perfection (which is never reached), but it’s the quest that keeps her moving forward and makes her feel needed. She shows her love for her partner by ensuring that he (and the relationship) receive continual tweaks of improvement. When Moon in Virgo expresses self-doubts, this means she’s reached a comfort level with her partner; communication is crucial for this Mercury-ruled sign. But her Shadow side can emerge as a relentless stream of nagging and circular worries; she becomes paralyzed by the fear that she (and everything else) will never be good enough. Sun in Cancer will sense Virgo’s restless anxieties, and will swoop in to sooth and protect. His healing nature will act like a balm to Virgo’s worries, and she’ll quickly open up. They can make quite the team, with Moon in Virgo creating the “perfect” domestic environment for Cancer to enjoy. Each will empathize with the other’s worries, but this can also cause difficulties. Sun in Cancer will worry when he senses that Virgo is discontent, and Moon in Virgo will worry that she’s making Cancer worry. If one partner doesn’t take a step back, this can turn into an endless cycle of anxiety. Fortunately, neither sign is good at keeping their concerns to themselves. A discussion will usually clear the air, and they’ll be able to move forward. 🙂 This is pretty spot on! Although I love how my Virgo moon makes me pay attention to detail almost to the OCD point, I do hate how it makes me go “circular” in my worries. My Cancer man helps me out when we talk it out. I am a sag and my man is a cancer and he has a virgo moon. We have been invthis relationship for 3 years. A he has proven to be a lier. And you will not tell thecttuth sbout anything. He gets his feelings hurt when he is trying to hurt me. But I am so in tune to ehat he is doing and I really try to communicate with him but he believes his own lies. I am a sag and my man is a cancer and he has a virgo moon. We have been in this relationship for 3 years. And he has proven to be a lier. And you will not tell the truth about anything. He gets his feelings hurt when he is trying to hurt me. But I am so in tune to what he is doing and I really try to communicate with him but he believes his own lies.